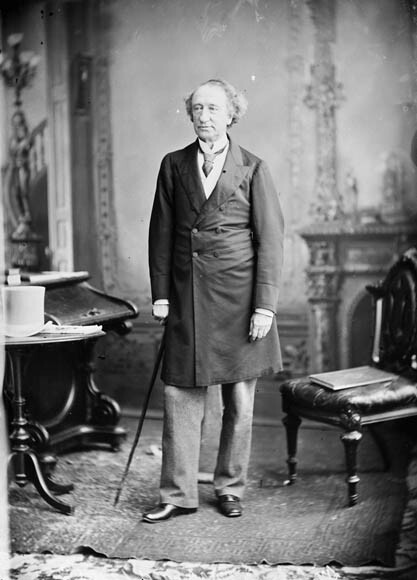 Library and Archives Canada (LAC) holds the most comprehensive collection of material in Canada related to our nation’s first prime minister, Sir John A. Macdonald. As part of the year-long commemoration surrounding the 200th anniversary of Macdonald’s birth, LAC is presenting an exhibition at Bellevue House in Kingston, Ontario—Parks Canada’s official site dedicated to Macdonald. Topley was the premier portrait photographer of his day, making images of both well-known and unknown citizens from across the country. 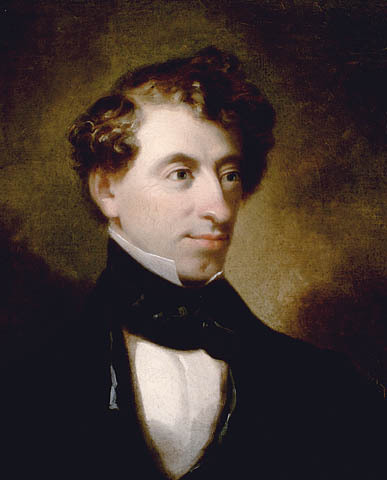 His studio, always located in the neighbourhood of Parliament Hill, was convenient enough to attract the patronage of many of the new Dominion’s first MPs. Topley even served as official court photographer to Canada’s Governor General, the Marquis of Lorne (1845–1914). Prints of the photographs from Macdonald’s studio sessions with Topley do not always survive, but most of the negatives for each session do—often including fascinating and unexpected ‘outtake’ images. Produced on thin plates of glass, the 19th-century technology that preceded the development of photographic film, these are both fragile and unwieldy—besides being negative images. Modern positive reproductions are usually made from them, as in the case of this exhibition, to allow for convenient viewing. This exhibition displays several outtakes, and a print from the Topley sessions, in sequence. The outtakes lack the formality of finished studio portraits but give a small feeling of what a 19th-century studio session must have been like. When viewed as a set, they almost give a feeling of motion—bringing Macdonald to life again, before our eyes. 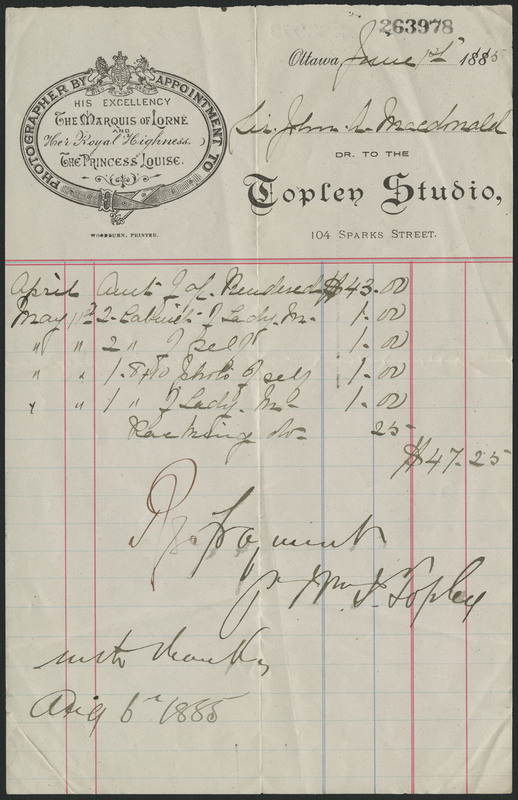 LAC is the only archives in Canada to hold the official records of the Topley Studio, including original counter books, prints and negatives. 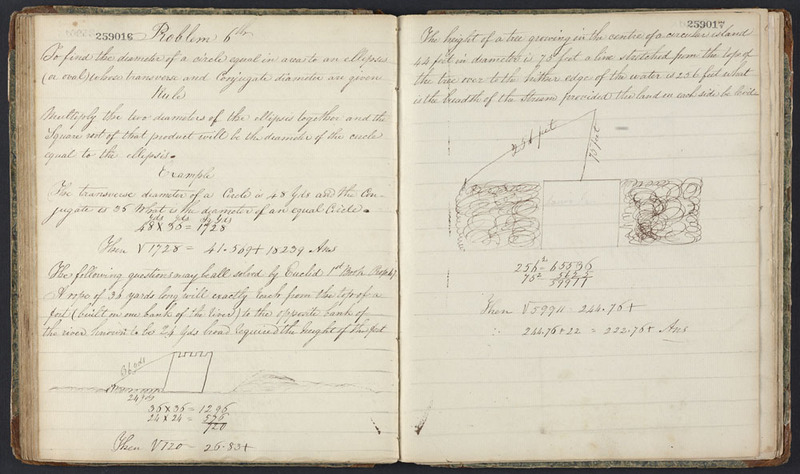 The Macdonald negatives illustrate just one way in which the collection works as one of the most important visual records of Canada during the first 50 years after Confederation. Come see the Macdonald outtakes at Bellevue House National Historic Site, between May 16 and October 12, 2015. 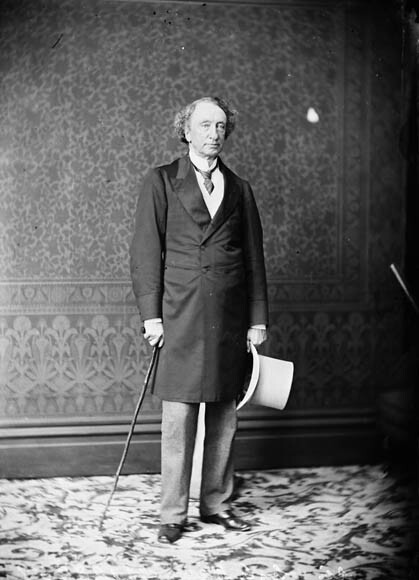 This entry was posted in Politics and Government and tagged Bellevue House National Historic Site, Exhibitions, Sir John A. Macdonald, William Topley by Library and Archives Canada Blog. Bookmark the permalink.